Egypt’s Carbon Holdings aims to finalize funding and start building its massive Tahrir petrochemicals project by June, producing raw materials desperately needed to boost the country’s industrial sector, its chief executive told Reuters. The $10.6 billion scheme in the Suez Canal Economic Zone will be the largest petrochemicals project in Egypt. Carbon Holdings CEO Basil El-Baz sees the project helping to double Egypt’s exports within one year of coming online after its five-year construction. Economic growth for import-dependent Egypt has slowed since a 2011 uprising drove tourists and foreign investors away, but recent reforms tied to a $12 billion International Monetary Fund loan are hoped to put the country back on the right track. “Why haven’t all these foreign multinationals that keep making visits to Egypt every month started manufacturing? What it comes down to is that there are no raw materials,” El-Baz said in a Reuters interview late on Wednesday. 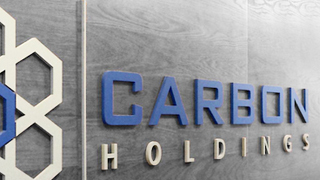 Carbon Holdings already has two facilities in production phase, a polypropylene plant and a mining grade ammonium nitrate plant. “We’re going to be looking to list Carbon Holdings at some point,” El-Baz said, but did not specify a date for the listing. Tahrir petrochemicals will have to export all its products in the first year but as production increases, El-Baz said, domestic manufacturers will be encouraged to expand and foreign ones will consider setting up next to the Suez Canal. The government says the 460-square km economic zone around the canal will be used to develop an international industrial and logistics hub to attract foreign investment. Tahrir petrochemicals, which is being funded by credit agencies in the United States, Britain and Germany, is Egypt’s first naphtha cracker and will produce different types of petrochemicals used to make various consumer and industrial goods. Stepping up exports and reducing imports are one of Egypt’s key goals to reduce the gaping trade deficit and put less pressure on foreign currency dried up by the 2011 uprising. The project, which plans to export to Europe, Africa and Asia, will provide at least 50,000 jobs, El-Baz said. Unemployment in Egypt is close to 12 percent. “We’re also going to spend about $1.5-2 billion in Egypt, between cement and rebar, the bits and pieces that are made here in Egypt, so that in itself is going to be stimulating the local economy,” El-Baz said.